2 Bedroom Bungalow To Rent in Chippenham for £1,250 per Calendar Month. Refurbished throughout this beautiful picture postcard two bedroom barn conversion which is situated in the heart of West Kington, offers everything you need for village life. 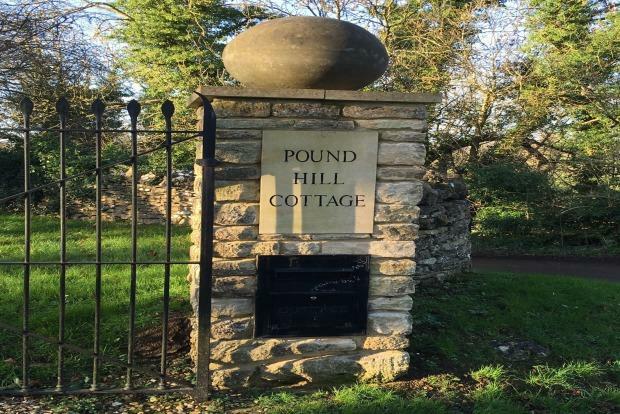 Set on the grounds of Pound Hill House, you enter the cottage via your own private driveway which also offers ample parking. The property has been refurbished throughout and has been carried out in a sympathetic manner to suit its rural surroundings. The property offers two large reception rooms to allow for separate and flexible living. You will find a tall standing wood burner in the main reception room, which is an original period feature and provides a beautiful centre piece. Further on is the master bedroom which offers built in storage, and a duel aspect outlook over the grounds. At the other end of the property you will find the second bedroom, which is a single size with views over the private garden with built in storage. There is a modern yet fitting kitchen with a tall standing fridge freezer, built in oven/hob, built in dishwasher, washing machine and separate dryer. The property is completed by the family bathroom which is fully tiled and comprises of bath with over head shower, low level wc, as well as a built in vanity unit and heated towel rail. This property has been finished to an extremely high standard and further benefits from under floor heating throughout, and duel fuel options. The garden is mainly laid to lawn with an area of mature fruit trees, mature trees and shrubs offering a secluded and private garden space. Small Dogs may be considered by negotiation only.